Anxiety In Children? How Can I Help? 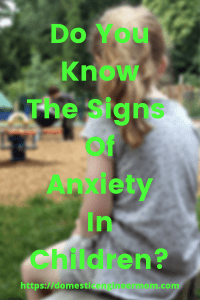 Are you a parent of a kiddo that has anxiety? Anxiety symptoms in children can have such a broad range. 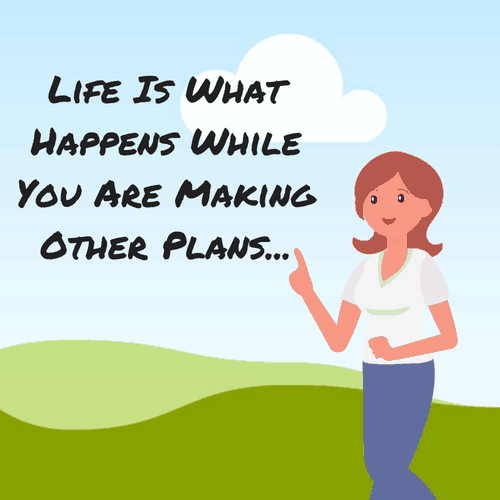 It can be sometimes hard to figure out, or at least that has been the issue I have experienced. First thing I want to address is that you are in the right place. I would like to offer what has helped my very own children. No, I’m not a professional, but I’m a mom who has experienced anxiety my whole life. I also have a couple of my own kids that have different degrees of anxiety, actually a whole lot. I do understand that one size does not fit all. So you are in good company here. I hope with what I’ve found helpful, or not so helpful, that this will help you navigate a complex issue. As a mom and parent, we want to be able to shield our children from the issues that may bring on anxiety. Unfortunately as hard as I’ve tried, there are just some things out of my control. There are some situations in life that your child needs to be able to navigate those anxious times. It is an important life skill. You want to be able to prepare them with the best skills you can teach them. As the parent of 4 children and with 2 of them having different degrees of anxiety, panic attacks, and depression, I’ve had to learn quite a bit on how to help them try to diffuse the situation. The both of them could not be so different from each other. That’s where one size doesn’t fit all. Not all techniques worked for both of them, so as a parent you need to be open to try a different mix of techniques. Maybe with some of the tips, I’ve learned over the years will help you and your child defuse the situation that may be causing their anxiety. Whatever anxious thoughts or fears your child is feeling, they need to learn how to diffuse the situation. Depending on the age, this will determine what coping skills they are able to use. I know with our oldest daughter her anxiety didn’t show up until her preteen and teen years. But with our youngest, it was very present when she was around 4. So obviously that is a huge age gap of anxiety symptoms between the both of them and what their experiences were. I actually want to address our youngest daughter because of the onset of early signs of anxiety. Anxiety symptoms in children can mask themselves in many different ways. I think when they are younger it can be confused as misbehaving or being defiant. Also, you need to know that if you as a parent have suffered from anxiety, then your children can possibly have it also. Not always, but keep that in mind. An anxiety disorder in children with special needs is pretty common. Our youngest daughter has special needs, so with her condition, it makes her more predisposed of having an anxiety disorder. All of these symptoms didn’t come all at once. They seemed to trickle in different periods of time. I also do want to point out that, Yes we did seek professional help because it was more than I knew what to do about it. She was seen by a psychologist specializing in behavioral therapy. But we did have to turn to use some meds, but that also goes along with what she learned in behavioral therapy. So here are some of the signs I noticed in her that made me think she needed to learn some coping skills. These are just a few but plenty to make a parent and therapy therapist to take notice. I am so grateful with everyone that had a role to play with getting her where she is at today. Yes, she still has OCD’s, anxiety, and certain ticks, but she has come a long way from where she was. So here are some of the coping skills that were taught, and I found very effective. She learned how-to-breath when she felt her anxiety coming on. Take a deep breath through your nose and fill your belly like a ball, then release all that air out your mouth. It took some time for her to get it down, but it was effective for the onset of anxiety. I have found that you don’t ask “WHY” are you feeling anxious. This tended to make her feel even more anxious. The reason for this is because you are asking them to relive the anxiety, in essence, what has made them anxious in the first place. When anxiety in children escalate they don’t know how to handle their emotions and can be very confused. I really think what helped our daughter was that I was there for her. It is important that you express that to them, it helped her feel safe. Learn what can trigger your child’s anxiety. I try my best to avoid things I can control. If there is no way to avoid the situation then prepare your child ahead of time to diffuse a typical anxious moment. If your child has an anxiety attack or becomes very anxious, try to remove them from the situation, and make sure you give them praise when they have been able to calm themselves. I know this one is a “no-brainer” but staying consistent with a schedule of eating and sleeping. 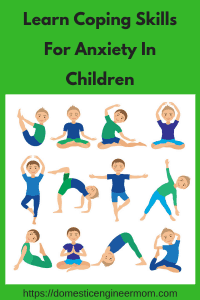 I have found Yoga for children to be a great resource for a calming exercise. Plus they make some really cute Yoga cards for kids to look at for reference. Plus it can be a good time to get the whole family involved. Making sure there are space and plenty of opportunities for your child to decompress is Extremely Important! Our daughter really needed that downtime to decompress and to let those anxious moments melt away. So as I said before, this is just some of the tips I have found helpful with calming anxiety in children. I do want to stress that it is important to recognize the signs and symptoms of anxiety in children. If you notice a pattern of unusual behavior or that something has changed, talk with your child’s Dr and get some advice. No matter what path of treatment you choose it is best to start it as early as possible. 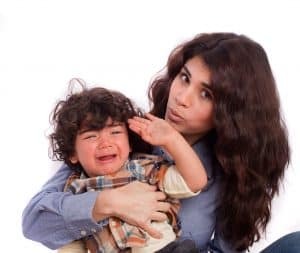 Putting off learning to be able to manage your child’s anxiety won’t make it go away. Most usually it will continue to get worse if you don’t find ways to diffuse it or avert the problem that is causing it in the first place. Take it from me, I remember having anxiety as a preteen and teenager, and I didn’t quite understand why I was feeling that way. It continued into my adulthood until I learned how to control it with cognitive therapy and learning my triggers. I would love to hear from you if you found this to be helpful. And as always I would love for you to subscribe to my blog and you will never miss an important update.